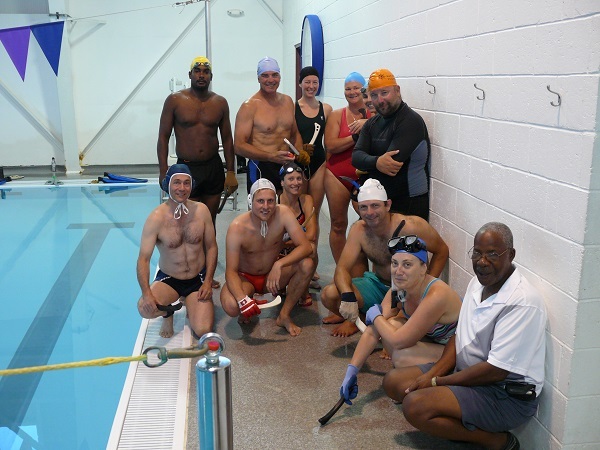 Underwater Hockey came to Bermuda in July when Sandys 360 Centre hosted a demonstration for interested players. The unusual sport form has participants all over the world, but visiting Swiss national team player Philipp Hupp’s training session and demonstration game were a first for the 10 swimmers who attended. Sandys 360 Aquatics Director Victor Ruberry said, “We wanted to introduce something new to Bermuda’s water sports scene, although we were unsure what to expect from something that sounded so strange – Underwater Hockey. Bermudian Warren Cabral who originally suggested the demonstration commented, “I do hope it will take off in Bermuda. It is open to anyone – any age or gender. 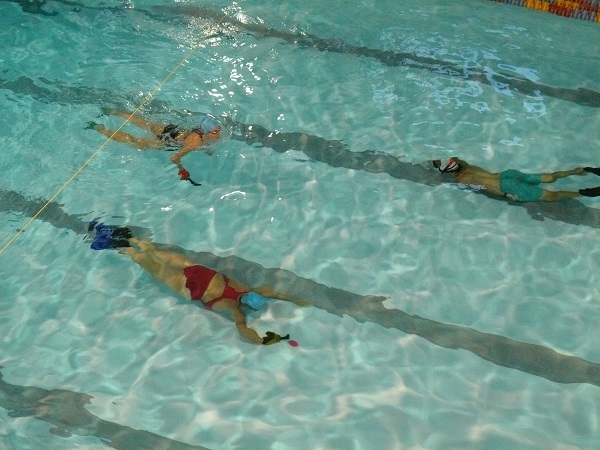 I’m 52 and have been playing Underwater Hockey in Zürich for the past few months. It’s amazing. The oldest guy in the club is in his 70’s and the youngest in his early 20’s. 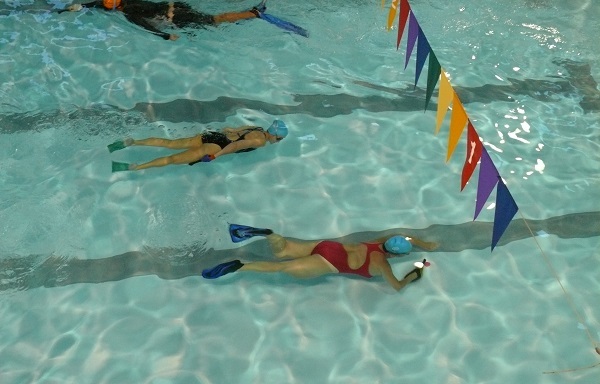 Underwater Hockey is played with mask, fins and snorkel in the shallow end of a swimming pool. A puck very similar to an ice hockey puck is shoved along the bottom of the pool towards a goal. Two teams of up to five each battle it out under water, holding their breath during play and only surfacing to take a few gulps of air, follow the game and re-join the action. Hupp is a native of Germany but now resides in Zürich, Switzerland where he is studying for a doctorate in information technology. He is Men’s Captain of the Zürich Underwater Hockey club and represents Switzerland at international matches. According to Stephanie Lee, Marketing & Communications Coordinator of Sandys 360 Centre, the West End community sporting complex hosted the demonstration as part of its broader mission to encourage Bermudians to keep fit and discover alternative water sports. “We were delighted to have Phlipp and Warren come out to us in July, and were even more pleased to hear what a success the evening was. We encourage anyone with an interest in Underwater Hockey to contact Victor Ruberry at vruberry@logic.bm,” said Ms Lee.